Above St. Lambert Lock on Sept. 2, 2011. 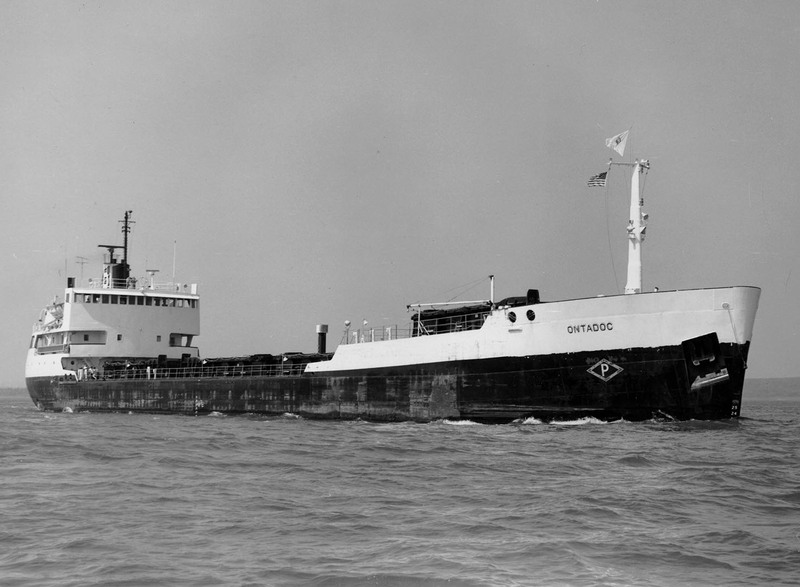 This smaller general cargo vessel was launched as the Ontadoc (2) for N. M. Paterson & Sons Ltd., Thunder Bay, ON on January 10, 1975 with her first sailing on April 24, 1975. She was built by Collingwood Shipbuilding Co., Ltd., Collingwood, ON and is powered by two 2,000 horsepower V-12 cylinder Allen diesel engines giving her a rated service speed of 12 knots. Her 4 hatches feed into 4 compartments and can carry 7,500 tons at her mid-summer draft of 24' 09". 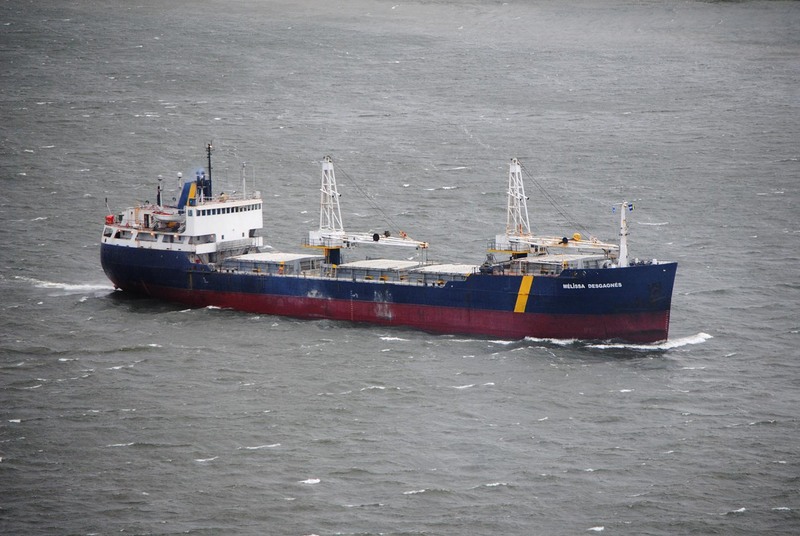 Since she was constructed with deep-sea capabilities, she has carried cargos to Holland and the Canadian Arctic. 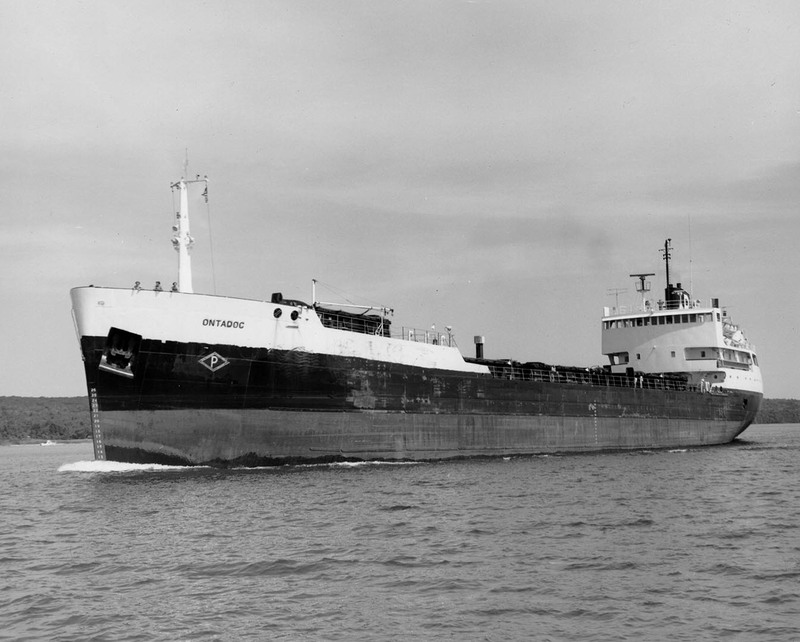 In 1989, she was equipped with 2 15-ton cranes to better serve Canadian Arctic communities. 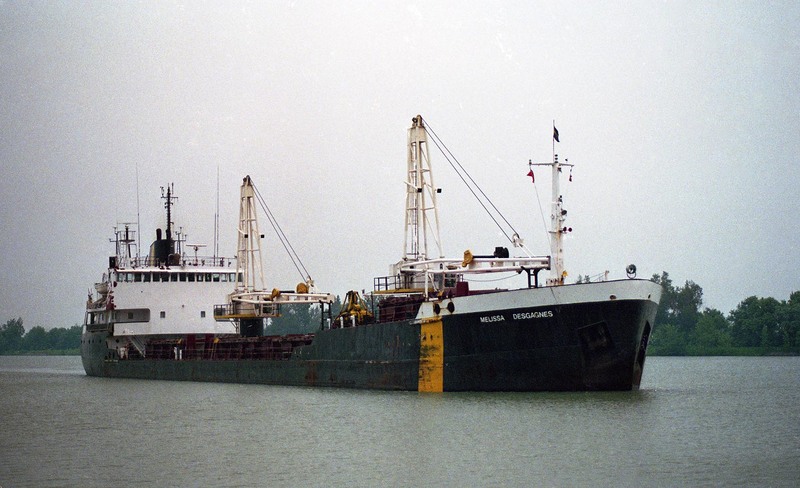 The vessel was sold to Desgagnés Transport Inc., Quebec City, PQ in June of 1990 and was renamed Mélissa Desgagnés at that time. 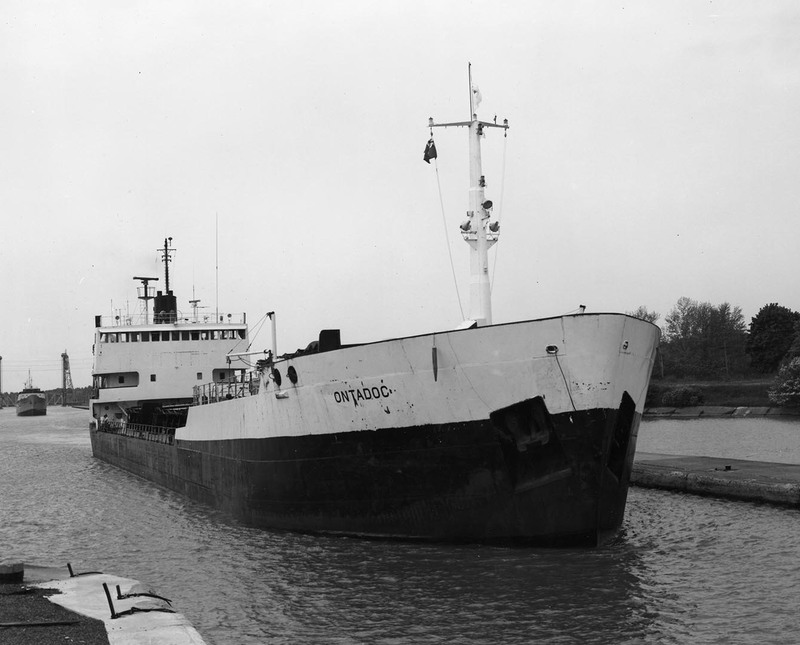 In April of 1993, she was noted to have run aground in the St. Lawrence Seaway west of the Eisenhower Lock while carrying wheat from Windsor, ON to Newfoundland. Mélissa Desgagnés’ Canadian registry was closed July 21, 2016. Sold off-lakes and renamed Ethan, she flies the flag of Tanzania. As of May 2018, she still resides in Quebec City. Downbound in the St. Marys River below Mission Pt. Downbound at the Guard Gate on the Welland Canal. 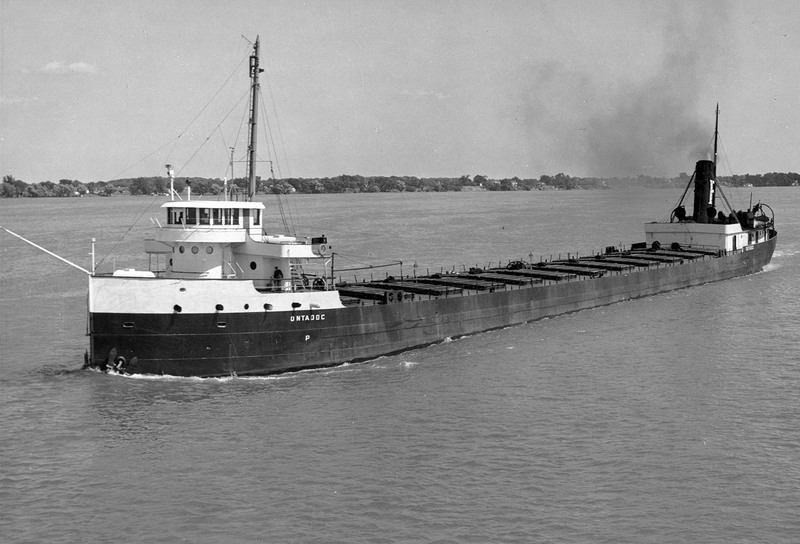 Heading for another load on the St. Marys River. 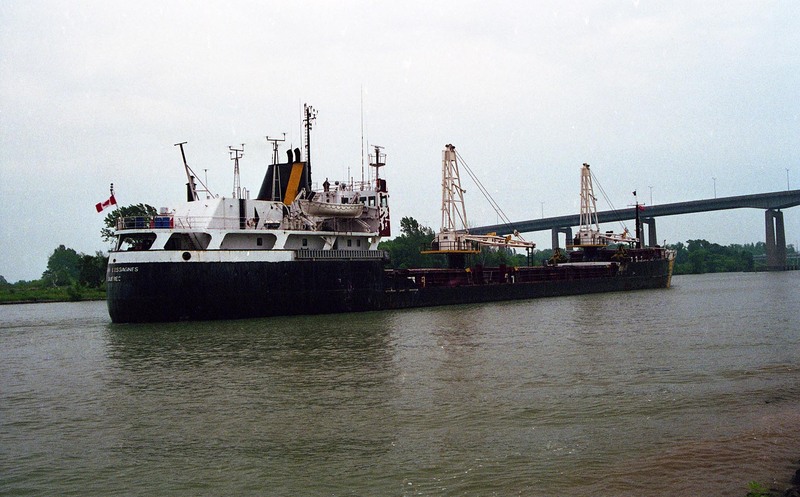 Upbound in the Welland Canal near the Garden City Skyway, June 29, 1996. 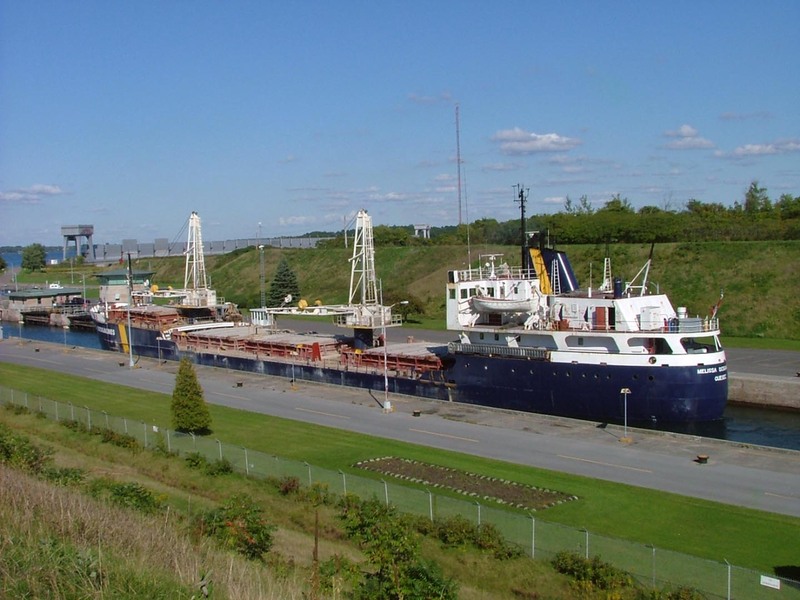 Downbound in the Iroquois Lock, Sept. 11, 2004. 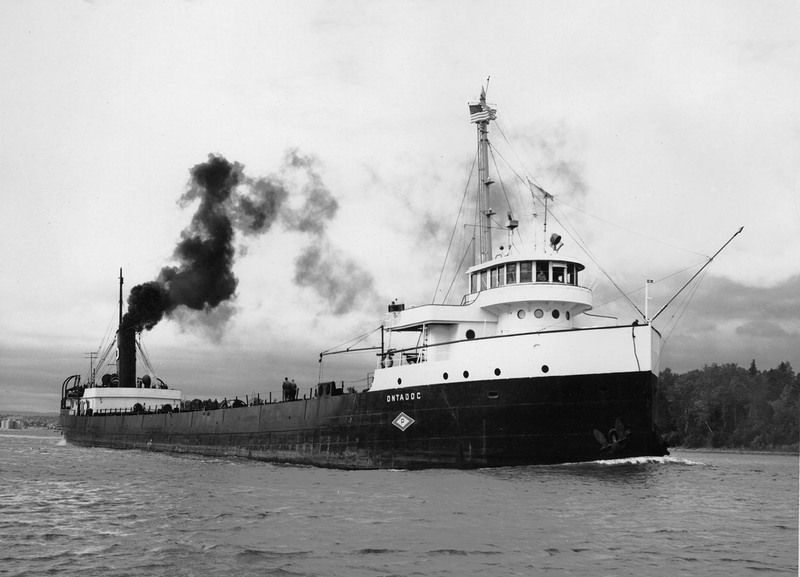 Departing Menominee after unloading pig iron, April 15, 2009. Turning in the river with assistance from the Jacquelyn Nicole. Clearing Menominee North Pier Lighthouse. Approaching the St. Lambert Lock, July 7, 2010. Above St. Lambert Lock, Sept. 2, 2011. Stern view on Lac St Louis, Sept. 2, 2012. Passing through Quebec City, Sept. 29, 2014.